When you travel to places like the Everest Region, it’s hard not to be impressed by the amazing scenery, the sense of history and the literal karma that you get by being in this Buddhist region. 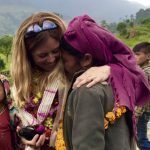 For us however, the most wonderful thing that we get from our regular visits to the country of Nepal, is contact with the people. They are unwaveringly kind, humble and often less fortunate than most of us in the developed world. Whilst striving to do the best for their families, they welcome us into their lives, making for some of the most fantastic friendships and memories that we could wish for. Regrettably, even in this peaceful and caring environment, not everyone gets a fair chance or is treated well: Porters, poorly dressed and underpaid, mostly of lowland regions (and not Sherpa) carrying 100Kg up to Base Camp; young children, working for their impoverished families, instead of gaining the education that they deserve. There are too many examples. Trek8848 is not a charity. But equally, we are not driven by our spreadsheet. 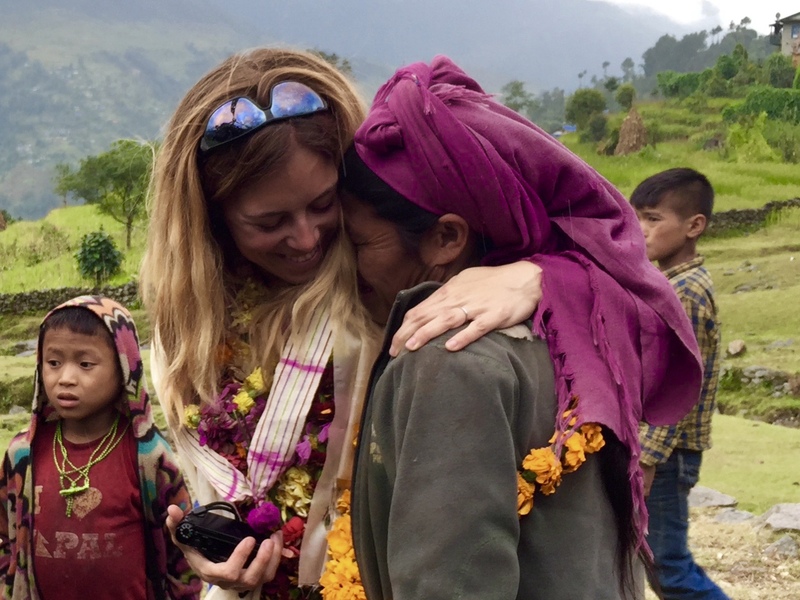 Our main aim is to maintain our links with Nepal, build on the friendships that we have made over the years and hopefully, when it all works out, do some good, and perhaps, in some way, improve our own personal piece of ‘Karma’. We first met Bhabi in 2011. He was a small boy then, poorly dressed and weighing only around 30Kg. 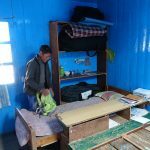 At the bottom of Namche Hill, he was gasping for air and probably hope, whilst struggling to carry more than his body weight in rum, beer and sundries to one of the local shops in Namche Bazaar. His mother had left their home, leaving his father no other option than to ask Bhabi to help him to provide for their family. This story is not unique. Most people walk by, but the members of our team decided to help. It was one of the most touching moments in my life. We carried his load, bought him new clothes and fed him. It felt great to be helping. After our goodbyes, we thought a lot about Bhabi and came to the conclusion that we simply had to do more. A year later, with the help of Thundu, Marie-Kristelle located him again in his village of Tok Tok. 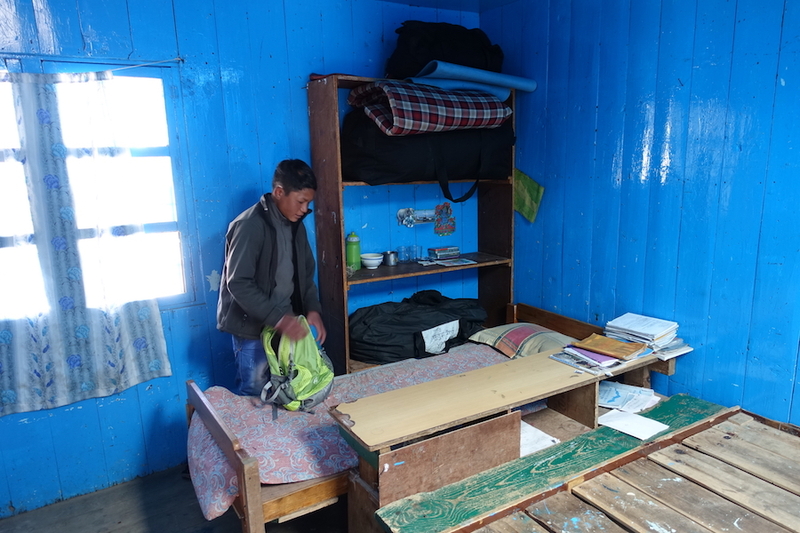 It was then that we offered him the opportunity to go the Hilary School in Khumjung. Both he and his dad were ecstatic. Bhabi Ram is now 17 years old, speaks brilliant English, has grown almost as tall as Rob and has hopes of going to University. Maybe one day he will be a helicopter pilot, he says. 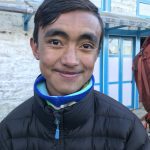 Whatever he becomes, he now has a chance and you may well even get to meet him on one of our treks – which he often joins when there are school holidays. This is the essence of the Khumbu and everything that Trek8848 stands for. 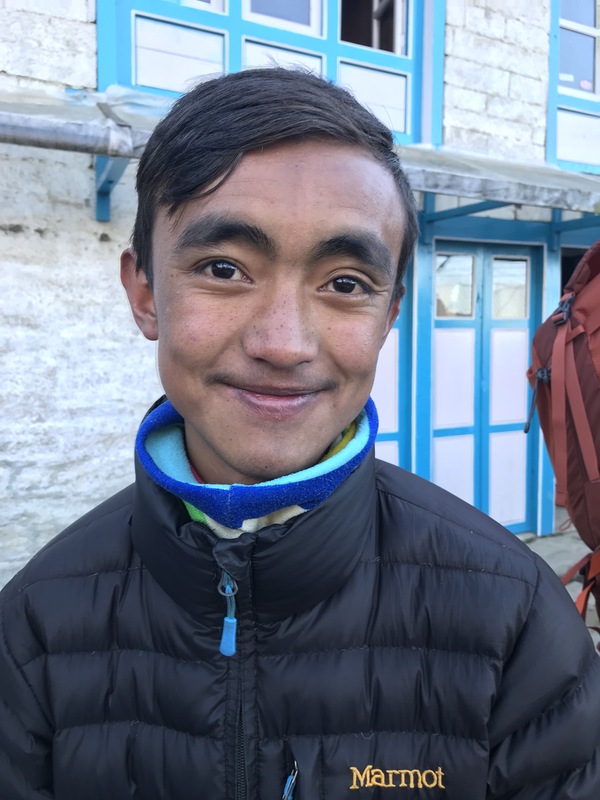 It would be remiss of us if we were not to mention Pradip, if not for the contribution of Trek8848, but for that of two trekkers who came with us to Everest Base Camp in 2013. 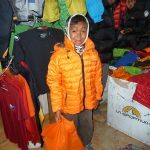 On seeing Pradip in very similar circumstances to Bhabi, but this time near Lobuche on a cold and windy day, with no thought of her own comfort, Anne ripped off her down jacket (we were on our way down to warmer temperatures) and selflessly gave it to him. She organised adult porters to carry his load and paid him his expected salary for that day. It was an extraordinary act of kindness to witness. A year later, Anne and Gilles contacted us and asked us to “find” Pradip. They knew what we had done for Bhabi and wanted to do the same for Pradip. Not an easy feat I was thinking, but with the help and dedication of Thundu, who quite selflessly wanted to help us to help somebody else – and a photo of our ‘missing person’ – we eventually found him. 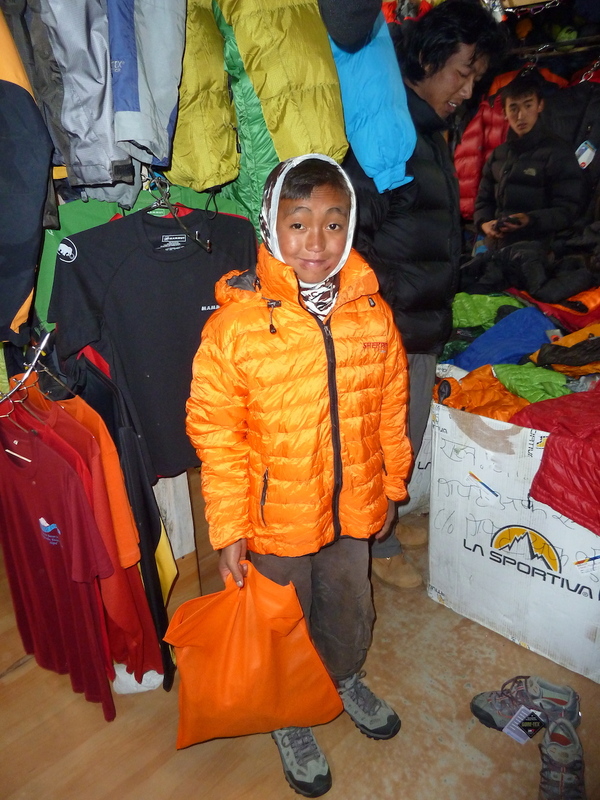 Just 13 years old and working in fairly terrible conditions in a lodge at Gorak Shep (over 5000m in altitude), it was hard to convince him that the offer was for real. 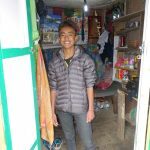 Thankfully, with Thundu’s words and agreement from his family, Pradip is now also at the Hilary School, forging the education and chances in life that any normal child should be expected to have. Thank you Anne and Gilles. On 25 April 2015 at around 1pm, an earthquake of 7.8 magnitude on the richter scale, brought chaos and catastrophe to Nepal. 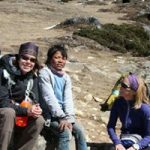 Rob, Marie-Kristelle and Thundu were all at camp 1 on Everest at the time and came through this terrifying ordeal unscathed. Others, at their Base camp, were less fortunate. 3 dear friends were lost. Pasang Temba Sherpa, Tenzing Sherpa and Kumar Rai. We were and continue to be devastated. 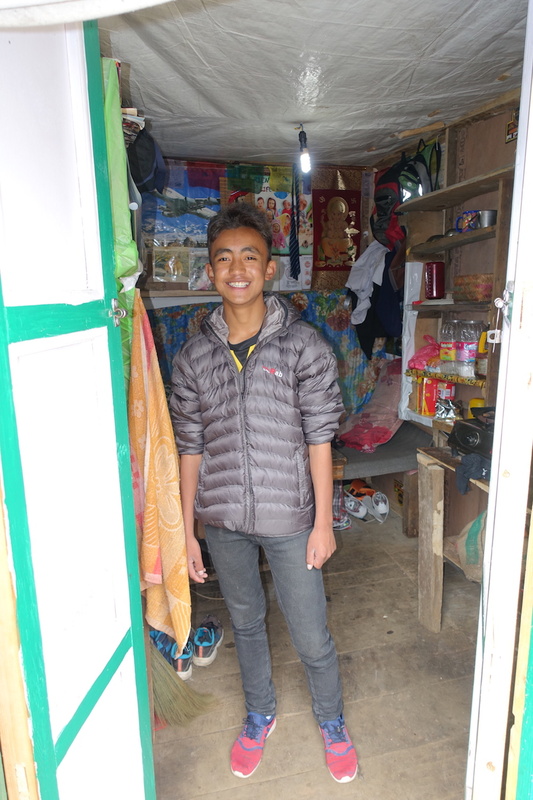 After our escape from danger and return to home, we felt strongly that we had to do something for Kumar’s family. Some funds had been secured for his wife, but nothing had yet been arranged for his 4 young children. It was clear that their mother needed them close to her at this time, so offering good schooling in a distant place was going to be of little help. 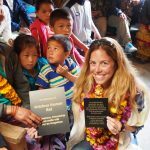 So we made some enquiries about Chheskam and realised that our efforts should be centred on improving the school in this incredibly remote, yet important village in the Solukhumbu valley. It lies some 4 days walk from Lukla and is only reachable by foot or by helicopter. Fund-raising took place and to date over $30,000 CAD has been raised. 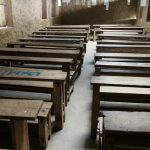 The first stage of the school renovation (it too was badly damaged in the earthquake) is now complete and fund-raising continues. 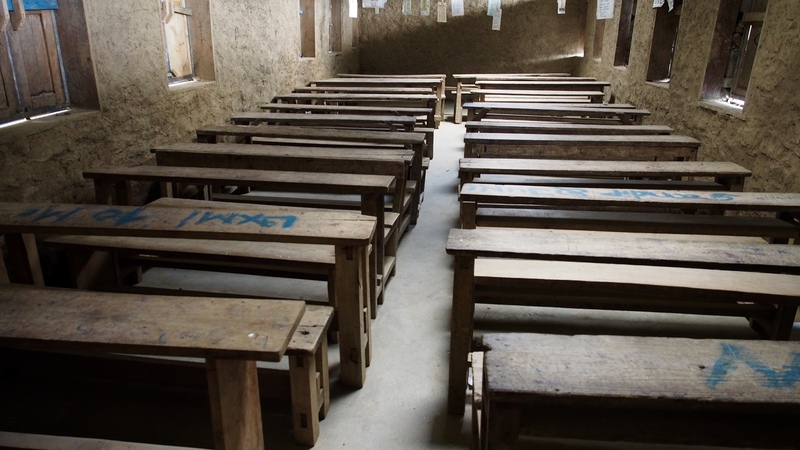 We hope to start building boarding accommodation in the near future, which will allow children who live more than a days walk away (and who therefore would not go to school) to be able to stay and gain their education. 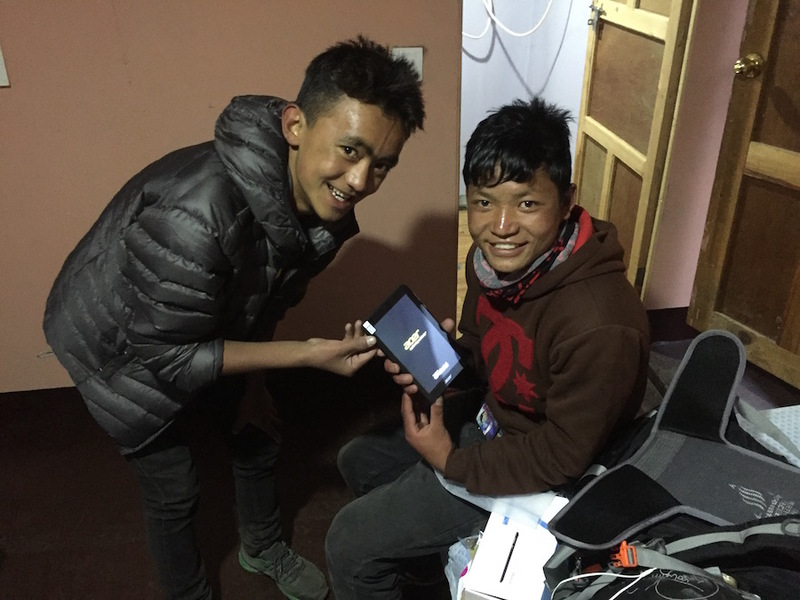 A satellite internet connection that the school and the villagers can use, for knowledge and outside communications, is also part of our second-stage plans. 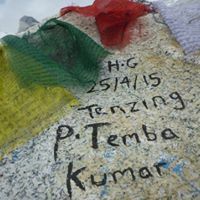 It is a great honour for Trek8848 to be leading on this incredibly important project, and should you wish to contribute, whether a participant in one of our treks or not, you are warmly welcome to. Please contact us for more details.